There are three types of competition in WTF Taekwondo. The best known is Olympic Style Sport Taekwondo. This is an exciting full-contact sport that requires skill, training, endurance, courage and indomitable spirit. Kees has been producing Canadian National and Provincial Junior and Senior champions since 1986. Masters Yoon and Duk Ha, and Head Instructor Donna Halewich are all former National Canadian Champions with international experience. Poomse (Form) is another competition division. Poomse requires that competitors visualize their opponent and demonstrate their martial arts training by executing a set pattern of strikes and counter strikes. Poomse requires precision, balance, focus and power. 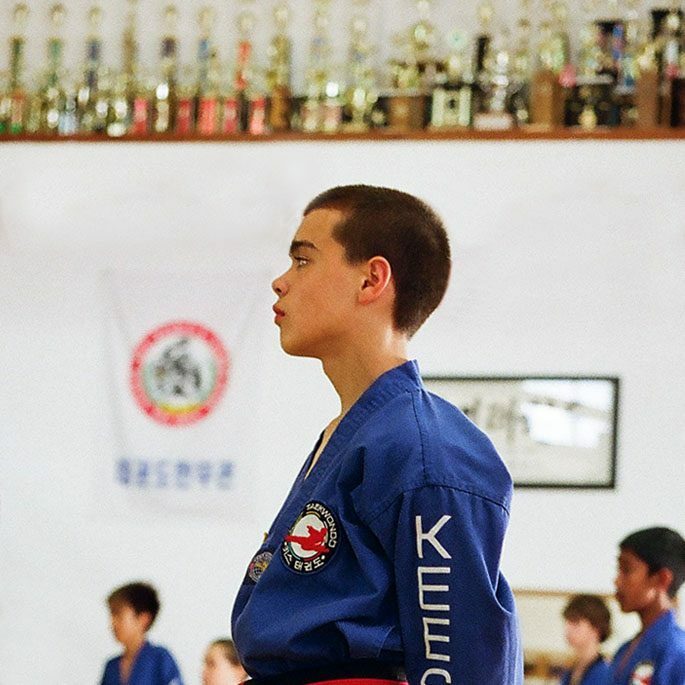 Kees competitors have earned many provincial and national medals in the Poomse. Muye is still relatively unknown. In Muye, competitor teams demonstrate martial arts techniques, including forms, power breaks and weapons, in a limited time. Masters Yoon and Duk Ha and Head Instructor Trevor Warkentin participated as Team Canada members in the 1st World Muye Championships in Korea in 2003. Elite competition requires athletes to sacrifice and work hard. It also requires others’ support. Kees Instructors regularly contribute their services as coaches, referees and officials. Both Grandmaster Kee S. Ha and Grandmaster Kee Ha have served Team Canada internationally. Grandmaster Kee Ha was Team Canada Head Coach at the 2004 Athens Olympics.